Northern Ilinois University running back D.J. 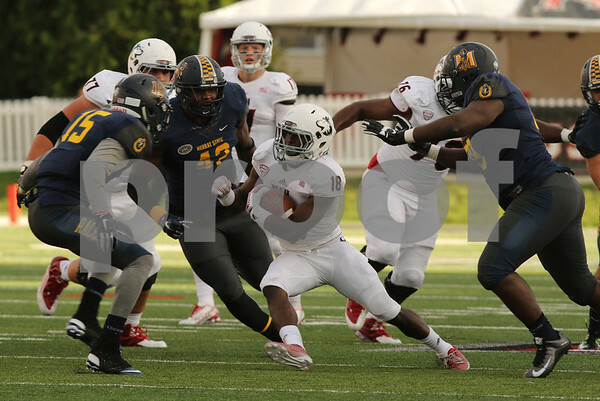 Brown runs through the Murray State defense in the fourth quarter Saturday, September 12, 2015. NIU topped Murray State 57-26 in Huskie Stadium.